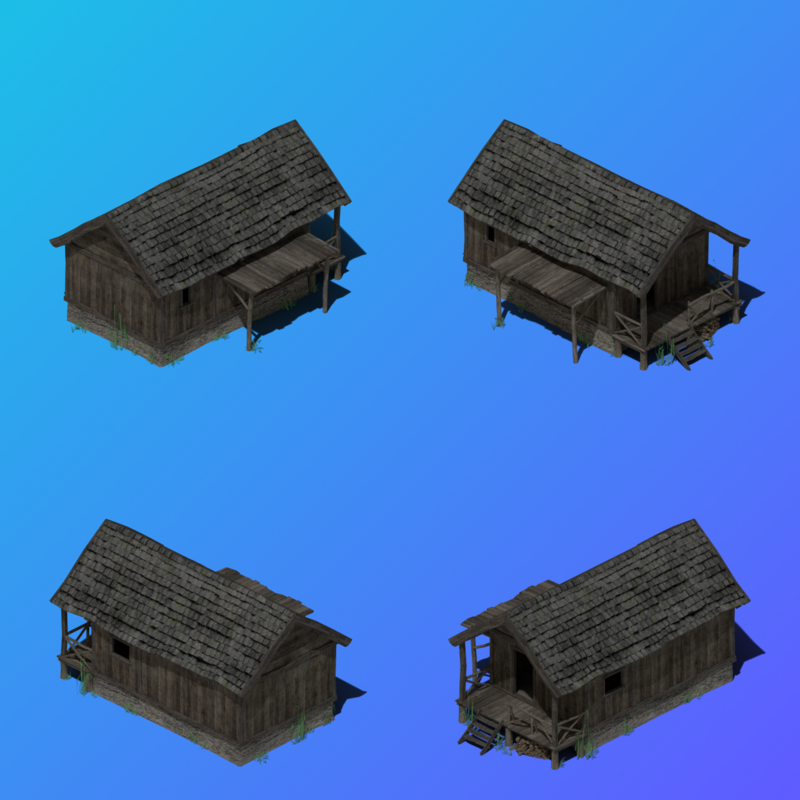 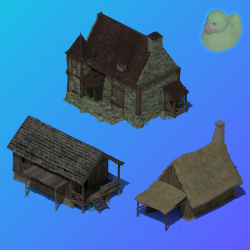 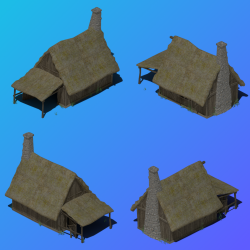 I created 3 isometric buildings (flare-compatible), based on various CC-BY and CC-BY-SA models from blendswap (see CREDITS.txt). 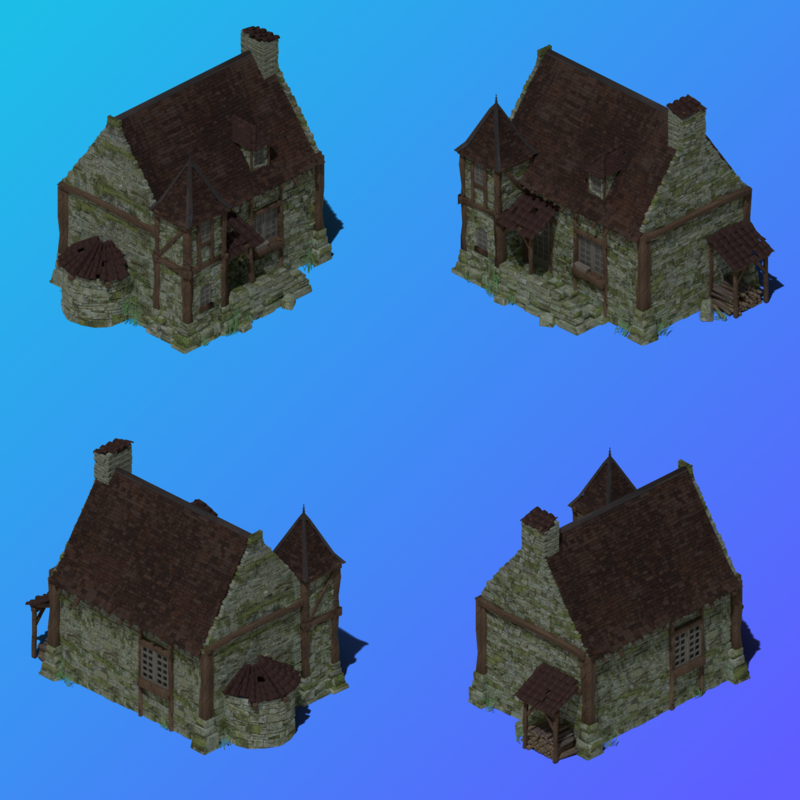 Each building is rendered in 4 directions and with shadow (with shadow catcher), shadow only on the building and without sharp shadows. The source blend file is included too.